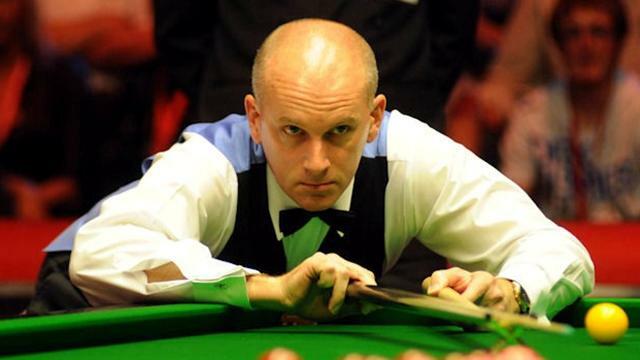 Peter Ebdon reached the last 32 of the Haikou World Open with a tense 5-4 victory over Liam Highfield at Sheffield’s World Snooker Academy. The 2002 world champion, who won the China Open in April and reached the Australian Goldfields Open final earlier this season, clinched the match with one visit to the table after a titanic five hour 40 minute struggle against the 22-year-old from Swindon who won three matches to reach this stage. All the other morning matches went to the form book with Ryan Day, Marco Fu, Robert Milkins, Marcus Campbell and Michael Holt – all ranked between 21 and 27 in the world – booking their berths in the event which begins in China on February 25. The second session of the day wasn’t quite so predictable, however, with Nigel Bond and Alan McManus rolling back the years to defeat higher-ranked opponents in Jamie Burnett and Tom Ford respectively. David Gilbert, ranked 45 in the world, dumped out 28th seed Mark King 5-1 and Mark Joyce (51) shocked Joe Perry (17) 5-2 but Andrew Higginson was the only favourite of the afternoon to win their final qualifier, whitewashing Rod Lawler 5-0.